Adjustable height from 31" to 45". Ground Shipping: $60.00. Please use the quote request when purchasing 4 or more units for possible savings on shipping. 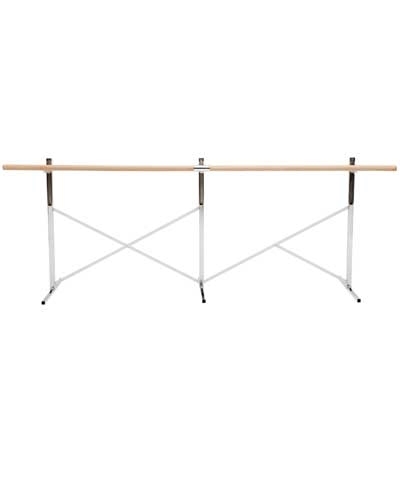 14Ft Free Standing Dance Ballet Barre 1 Bar. 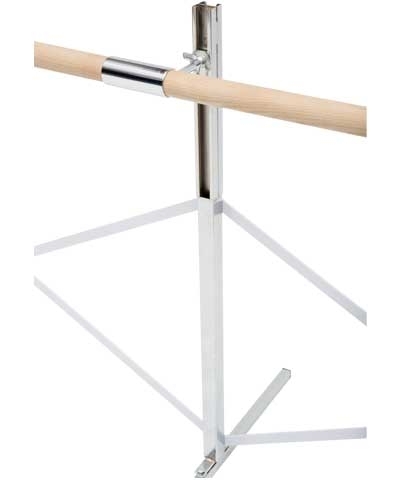 This Dance, Fitness, Rehab and Gymnastics Free Standing Portable Ballet Barre features one 1.75" diameter Ash Wood Bar and sturdy chrome plated steel uprights with non-marring foot pads. 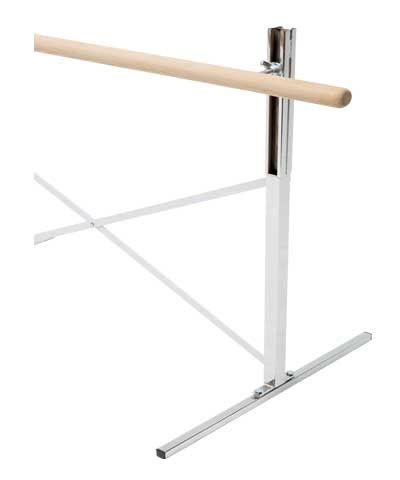 Bar easily adjust from 31" to 45" and can be taken apart in seconds without tools for transport and storage. 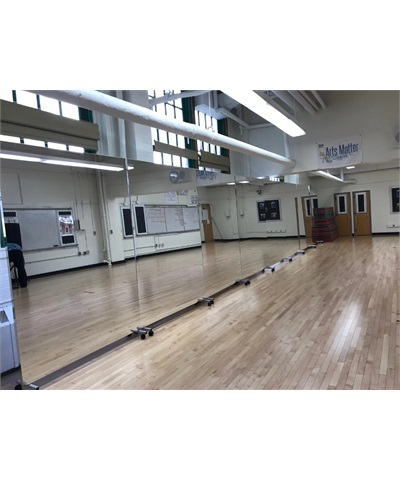 Perfect for any Dance Studio, Gymnastics Center, Rehab Center or Home Studio.